The Holidays are right around the corner! If you are looking for some great gift ideas this year, Martha Stewart Crafts has a gift for just about anyone in your life. 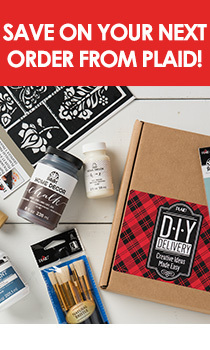 Martha Stewart Crafts has released a DIY Gift Guide that features crafts for the Fasionista, the Sports Fan, the Gardener, the Decorator and the Entertainer. Each of these categories has 4-5 gift ideas. This means you can make the perfect gift for each person on your list! Here are a few suggestions we have for each category. Fahionista - Painted Pearls – These will get your friend set for a night out! Sports Fan - Chalkboard Party Try – Perfect for entertaining on game day! These are just a few of the many ideas we have from Martha Stewart Crafts. Visit the DIY Gift Guide for suggestions and the Martha Stewart Crafts Projects page for more fun holiday gift ideas. Get Ready For the Holidays With Merry Stockings! With the holidays right around the corner, we were excited to visit with Jake Witham of MerryStockings.com. Their holiday focused business, specializing in Bucilla® Christmas goods and other personalized holiday decor items, has grown from days in a garage to a warehouse in Minnesota.